Recruiting is too strategic to be left to HR. Lever is modern hiring software that managers, CEOs, and entire companies—not just recruiters—love using. Full company collaboration is the most effective way to source, vet, and close game changing hires. The #1 problem companies face is hiring, retaining, and developing top talent. And it is getting more critical. Talent Management software is a $5B+ market that grew 17% in the past year. Applicant tracking is the best place to start. Customers are excited to switch now, it is where the data pipeline beings, and it is the first company building software companies adopt. Lever already powers hiring at Box, Slack, reddit, Lyft, Quora, Teespring, Walker and Company, Addepar, many fellow YC alumni, and more than 300 other great companies. 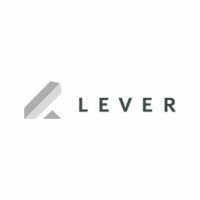 Backed with a Series A investment by Matrix Partners, Lever has received angel investments from industry leaders, including Marissa Mayer, Aaron Levie, Keith Rabois, Jeremy Stoppelman, Dave Morin, and Hunter Walk. Lever has elevated hiring software from low value process tracking, to strategic collaboration software for management and entire companies.